I highly recommend cooking Stone Soup with children. 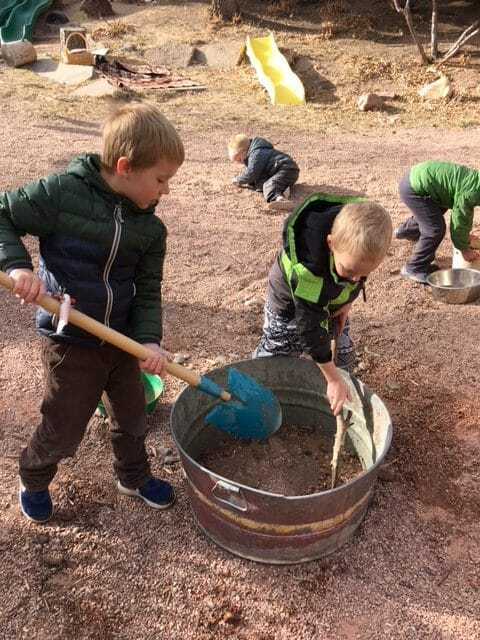 A home version could involve a child helping to cube just one or two favorite vegetables and searching for and washing the stone. Or a family could take a trip to the grocery store together where each family member picks one or two vegetables for more variety. We asked each child to bring a vegetable. 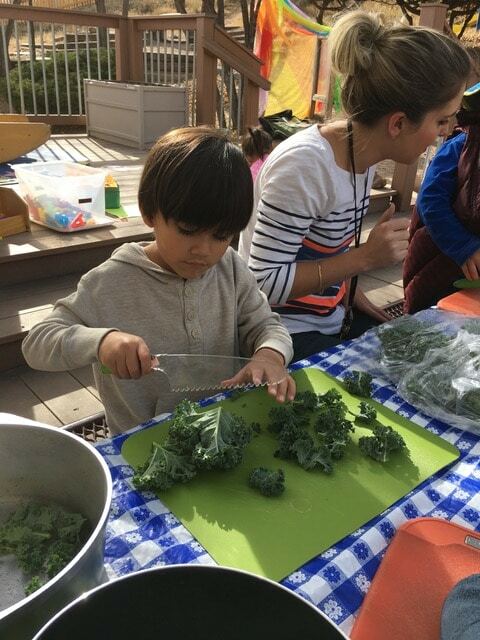 Teachers provided child-safe knives, cutting boards and plenty of supervision. This year the combination of vegetables brought in by the children was a wonderful mix. Temo brought kale. Arlo provided a parsnip, Italian parsley, two carrots and a sprig of sage from his family’s garden. Kinsley and Avery brought celery. We had two zucchinis, one from Lucy and one from Cohen. Audrey provided a yellow onion. Our soup had scallions and carrots brought by Aidan. Lena surprised us all with her kohlrabi. 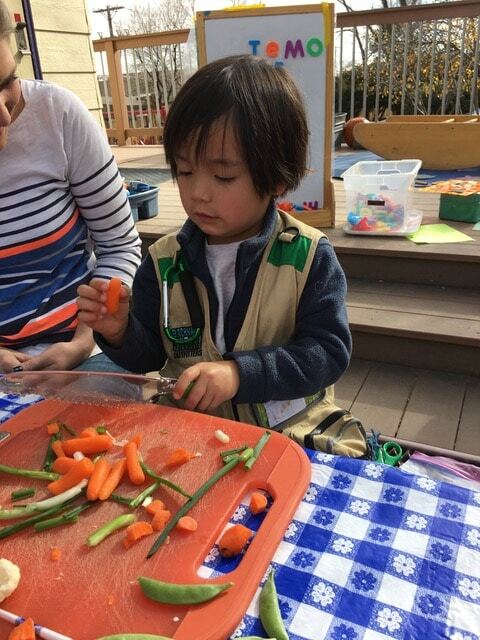 Eli shared cauliflower and snap peas. Jude cubed potato slices to add to the mix. Calvin contributed asparagus. 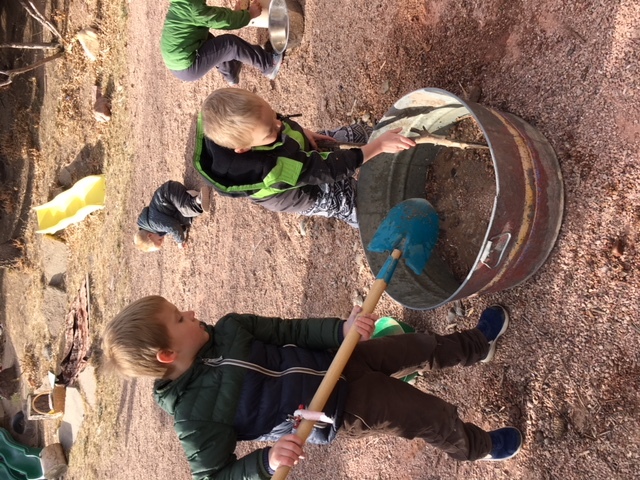 He and Lucy found the stone we added to the pot. We even had a bright red beet from George’s garden where we had visited on a field trip. We simply added water (vegetable or chicken broth are both tasty options), salt and pepper, and boiled until the vegetables they were soft. We served and enjoyed eating our soup! 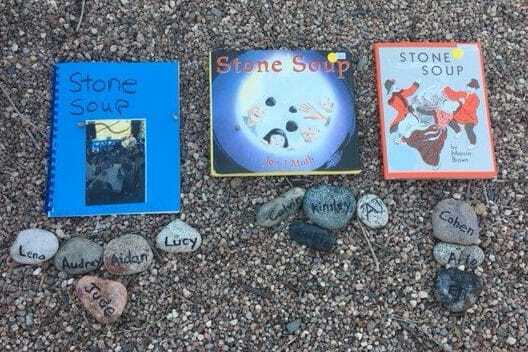 Being the book lover that I am, I couldn’t resist taking photos and creating a homemade book of our classroom Stone Soup experience to read and share with the class. After reading our homemade book (about our homemade soup!) 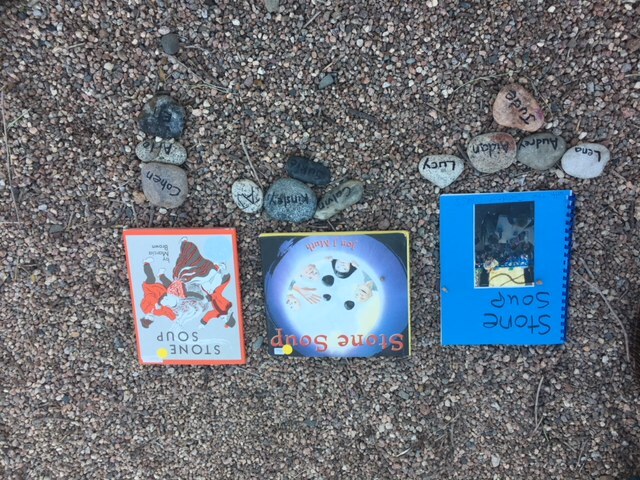 children expressed their opinions about their favorite Stone Soup story by voting—with stones of course! 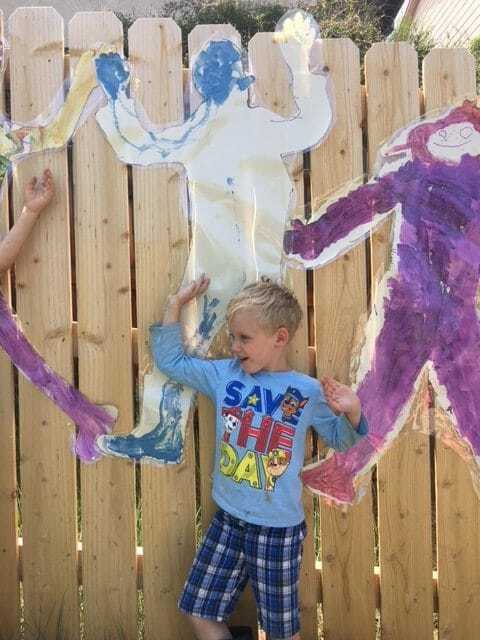 It isn’t quite the Dog Days of Summer yet, but when it is too hot to be outside in the middle of the day, why not try some of these doggy themed summer preschool activities? Toshi enjoying some time in the covered wagon. He loves summer preschool activities. Wouldn’t it be fun to eat like a puppy? Put a favorite dry cereal in one bowl, milk in another and lap up breakfast! Create your own fun kibble snack. Put one cup of any of the following ingredients into a bowl with a large spoon for stirring and scooping. Give each child his or her own zip-lock sandwich bag and let them scoop themselves a snack. 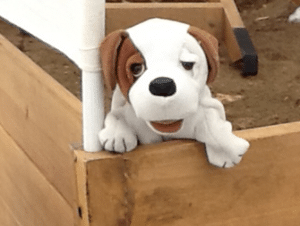 Looking for more fun doggy themed summer preschool activities? How do we know it is windy? Heavy and light things: paper, foil, plastic lid, washer, marker, paper clip, shell, CD, etc. Display objects and discuss which ones are heavy and which ones are light. 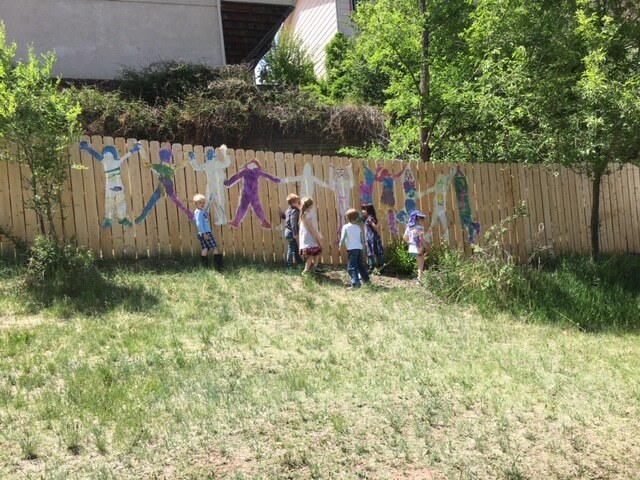 Help children cut off a section of string about a foot long. Each child may choose an object and use the tape to attach the yarn to the object. 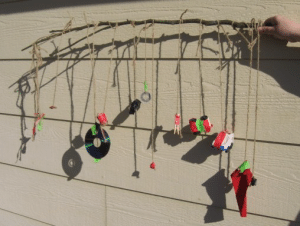 Help children tie the other end of the string to the tree branch or jungle gym so that the objects hang down. (If using a broom handle or stick, find a place outside to balance the stick horizontally). Ask children to observe the wind gauge. Is the wind blowing? How can they tell? Which items move and which are stationary? Which items move the farthest? Don’t forget to take a picture of your creation and post it to our Facebook page! 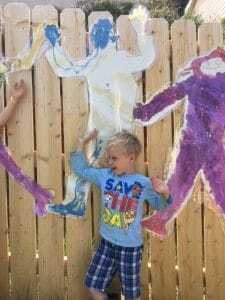 Looking for fun, free and developmentally appropriate preschool activities? 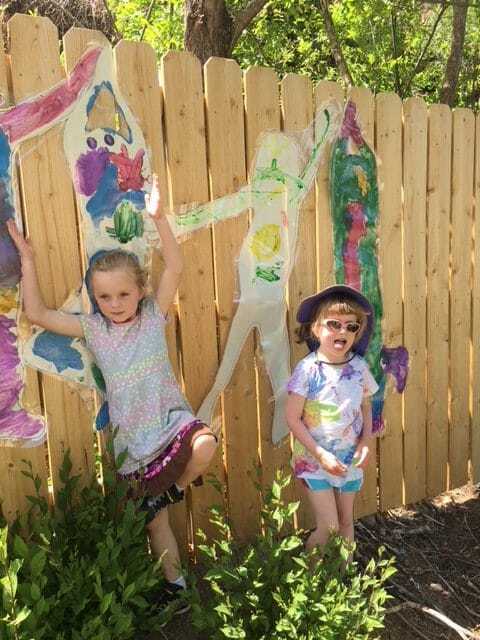 Try this week’s bird themed activities at home. 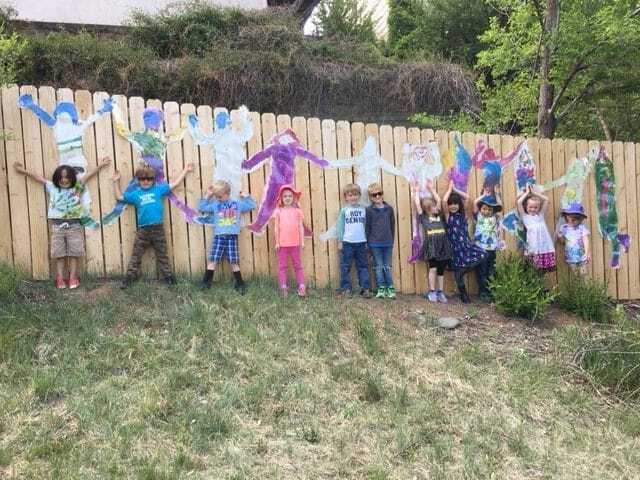 Go on a BIRD WATCHING WALK in the neighborhood. Look for birds, bird feeders, and nests. You might want to take a camera along and take pictures to look at later. Set up a BIRD WATCHING STATION. Outside a window, place bird feeders where you can see them from the window or simply sprinkle seed on the ground or on a patio. Provide water to help attract birds. Bird charts to record the birds that you see. Clipboards to add interest and give children a feeling of being scientists. Dry-erase markers, paper and pencils to record observations and draw pictures of the birds. Record visitors to your bird watching station or birds that you see on a walk. Do the birds you see eat alone or in groups? Do certain birds eat only certain things? How do birds eat seeds? Talk about the way birds move. 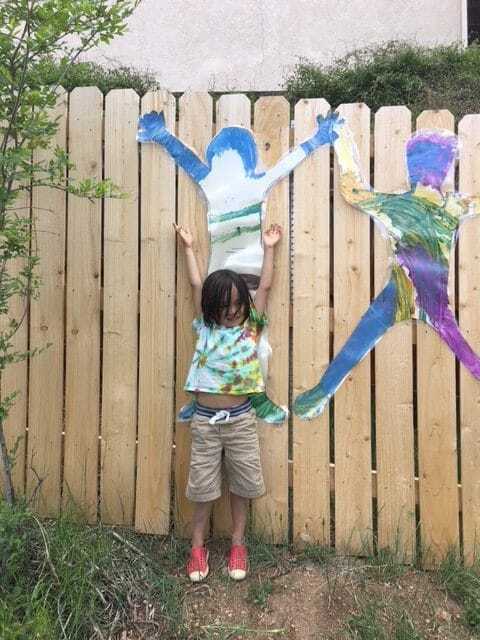 Ask children to imitate birds walking, hopping, bobbing, flying. How do birds take off to fly? Can you hear the “take off” sounds? Observe the shapes of their bodies and their colors. Talk about the bird’s legs and feet, their wings, beaks, and heads. How is a bird’s foot shaped?